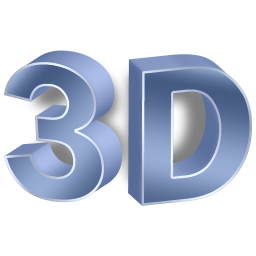 Android app developer Chainfire released an interesting app into the Market recently called Chainfire3D - "an intermediary OpenGL driver." Basically, this app sits between your app and the proprietary graphics driver on your device and can manipulate the commands between the two. This enables you do some pretty rad things with your device in order to increase efficacy, battery life, performance, etc. 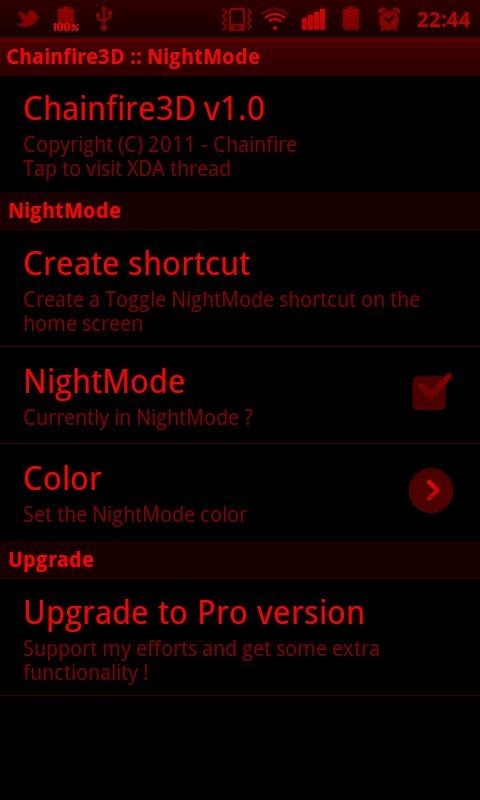 For example, you can use Chainfire3D to enable night-mode, which basically only powers the red pixels on your device in order to save battery life (yes, it makes everything look red - see below). Other features of Chainfire3D includes a multitude of texture manipulations, including the ability to reduce texture sizes and quality (for faster gaming) and unroll textures, which converts non-32 bit textures into 32 bit. you can also expand the abilities of Chainfire3D with plugins, but the API is limited at the moment. 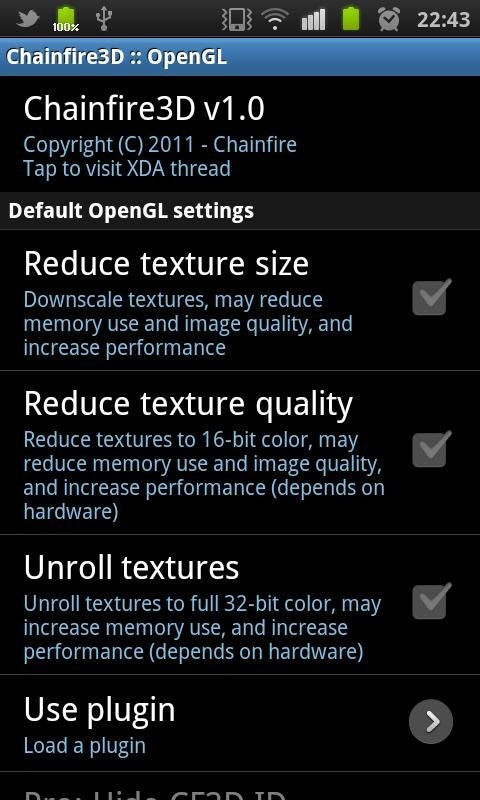 Chainfire3D is for rooted devices only! This app is designed for devices with a 1GHz processor or better. 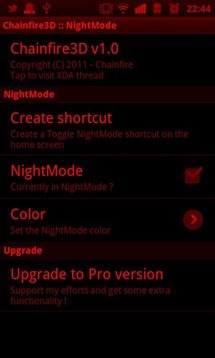 This is for Android 2.1-2.3.4 and it does not work on Honeycomb! 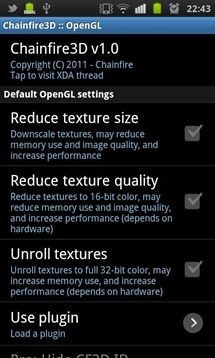 For more information, you can check out the source thread over at XDA, and you can grab the download free from the Android Market.